The National Stud opened its gates to the public for the first time in the mid 1970’s. To this day The National Stud remains the only commercial stud farm in the UK allowing individuals, small groups and large parties the chance to see behind the scenes of a working Thoroughbred stud farm. 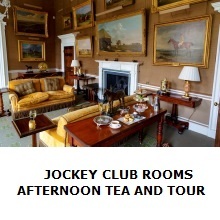 Tours of The National Stud last approximately 90 minutes and are taken by coach and on foot. 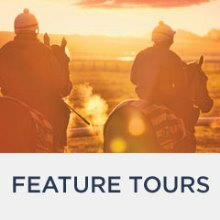 The tours focus on introducing visitors to the history and purpose of The National Stud as a commercial Thoroughbred breeding operation. 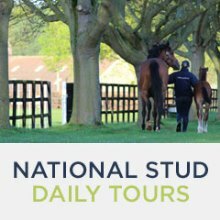 The National Stud is a working commercial stud farm, so the physical content of the tours varies throughout the year, depending on the season and the activities happening on the stud when you visit. We look forward to welcoming you to The National Stud.